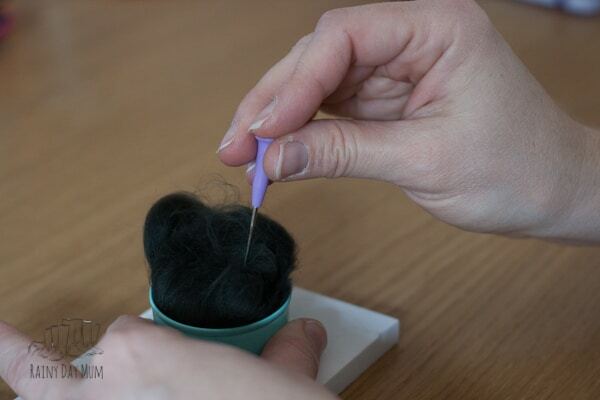 If you haven’t tried it needle felting is surprisingly therapeutic and also really easy to do. I was a little sceptical about it but once we had made our needle felted hearts I discovered how easy it was. 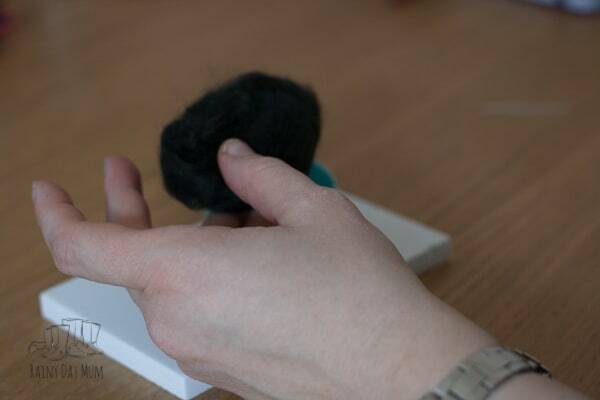 Although we have needle felted with my kids when they were preschoolers – it did need a lot of supervision to avoid them stabbing themselves with the needle but as they are now older it’s much easier to help them achieve the designs that they want to make. 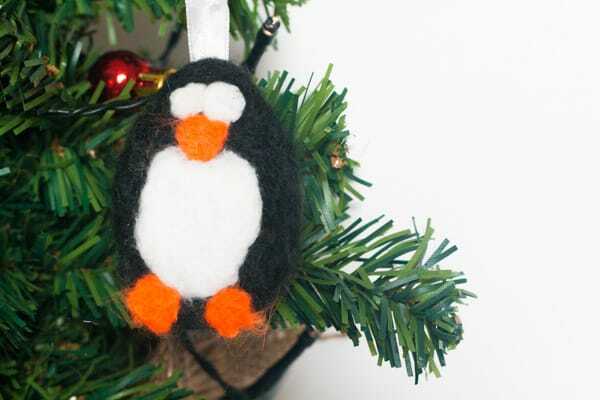 This cute little Needle Felted Penguin is perfect for an easy Christmas Tree Ornament and looks really cute. Have a try at our other Needle Felting projects for beginners – needle felted hearts and needle felted 3d Robin. 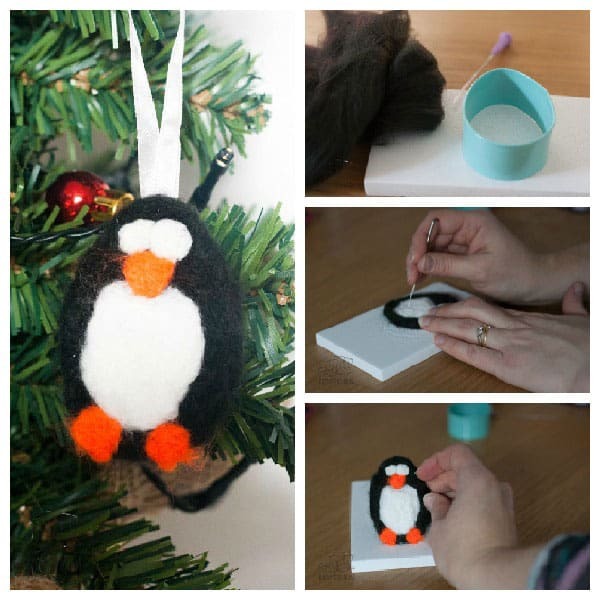 We have included affiliate links to products and resources we used to create these Needle Felted Penguins. If you purchase through the links we may earn a small commission. 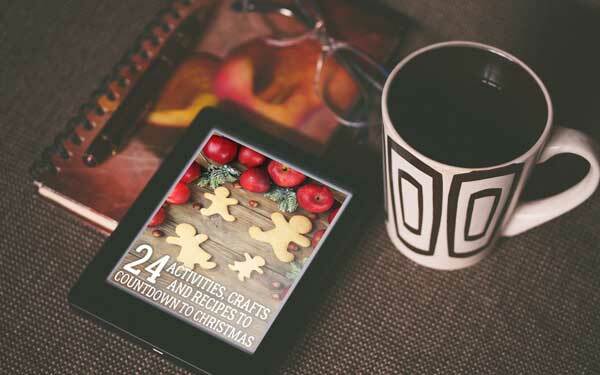 Join our Christmas Activities Newsletter and get our short favourite Christmas Activities for Families in an ebook as a gift from us. Place your egg-shaped cookie cutter on the needle felting cushion. Pack the cookie cutter full of black wool roving. 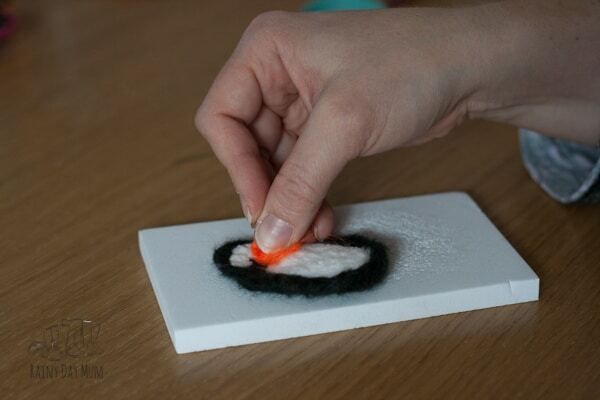 STAB the wool roving with your needle felting needle. As it compresses and makes felt don’t forget to turn it over to compact and felt the back as well. 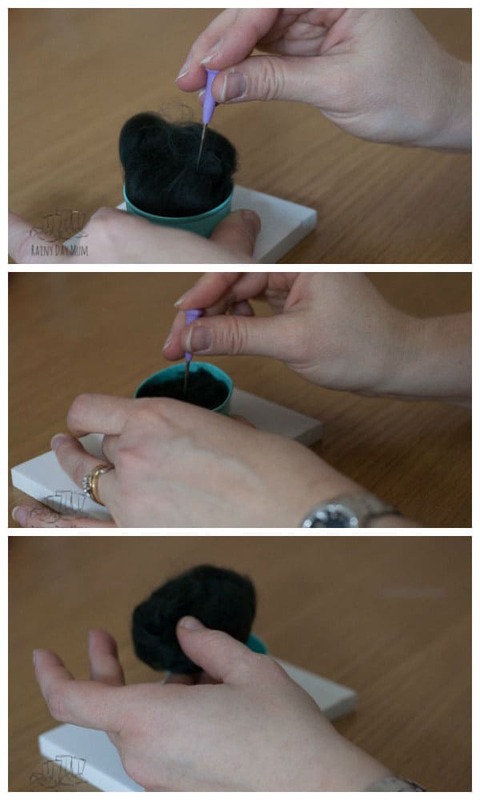 Once you have a black egg shape felted remove the cookie cutter. 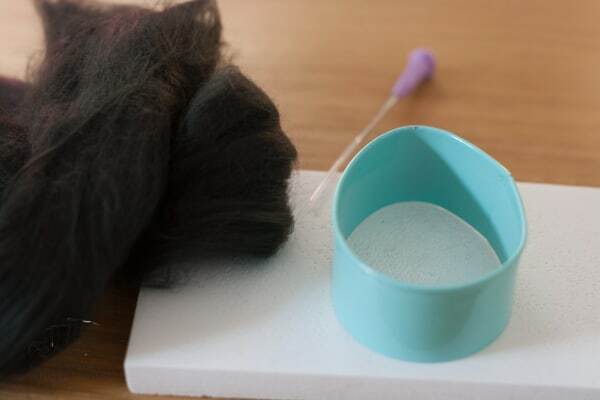 Now add some white wool roving to the bottom of the egg shape where it is at it’s widest. 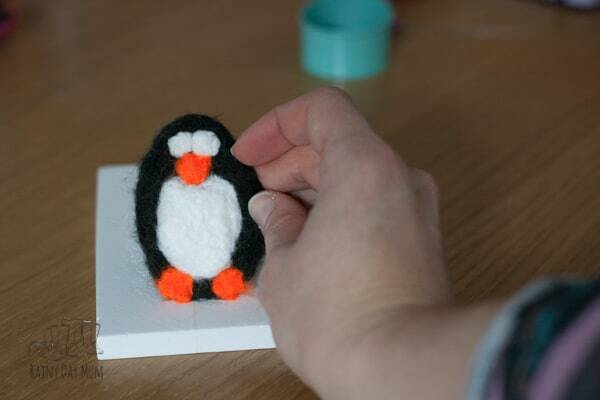 Using the Needle Felting Needle compact down the white wool to form the belly of the penguin. Add in two small sections for eyes. Then switch to orange wool roving and create some little feet and a beak. When you have it flat take a small section of ribbon and form a loop. 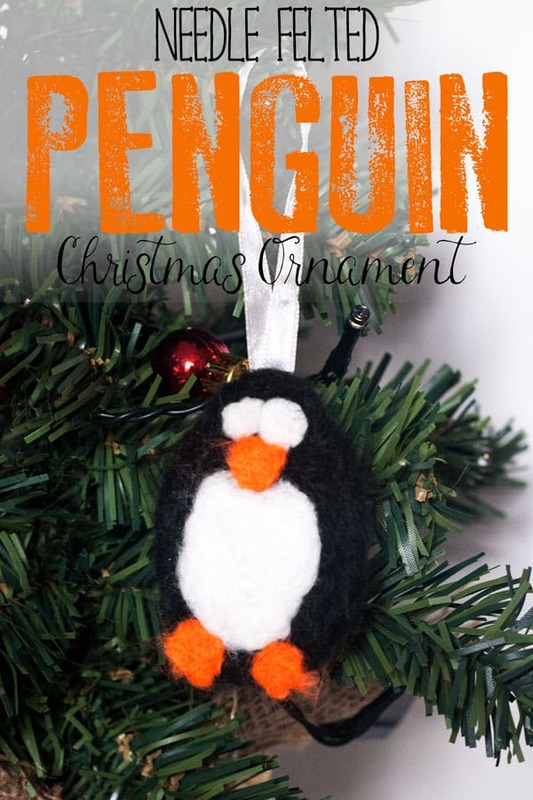 Sew this onto the top of the penguins head and hang on the tree. 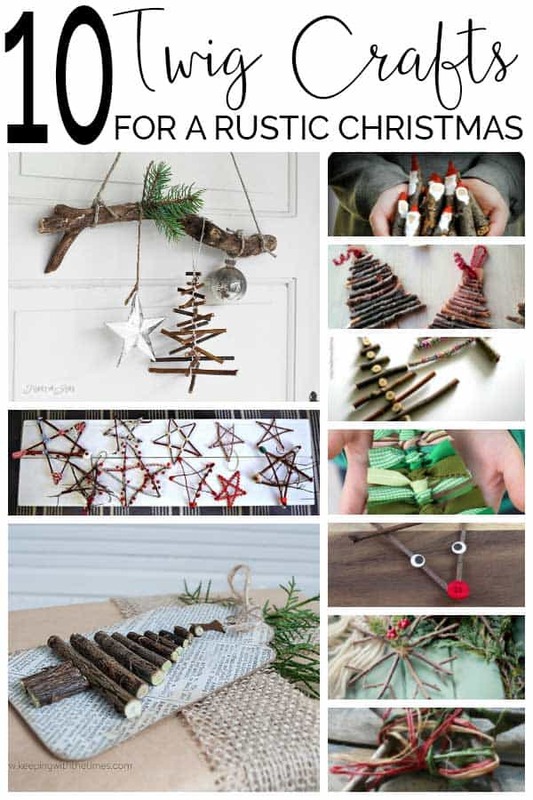 This Santa Needle Crafting set (from Amazon) or the same kit but on Etsy would make the perfect decorations for the tree – look at how great the wool roving looks to make a beard. Looking a lot like the Snowman from The Snowman by Raymond Briggs this Snowman Needle Felting set (from Amazon) or the same kit from Etsy would make another really cute decoration for the tree. Do you love the Scandinavian gnomes – well why not try making your own Gnome from this Gnome Needle Felting Kit. Then why not buy some beautiful handmade needle felted ornaments for your Christmas Tree this year. One of my favourites these Needle Felted Baubles for the Christmas Tree I love how different they are than other decorations I have seen.